£100,000. One Hundred Thousand Pounds. It’s an awful lot of money no matter how you say it. Reviewing a car with a six-figure price tag has the potential to meander off into a rambling discourse about what else the money could be spent on and how “no car’s worth such a vast sum”. The reality is such debate is an irrelevant distraction. If you’re considering spending such a figure on a car, it’s generally a given that you’re doing so because you can, not because you’ve scrimped and saved in order to be just about able to afford it. 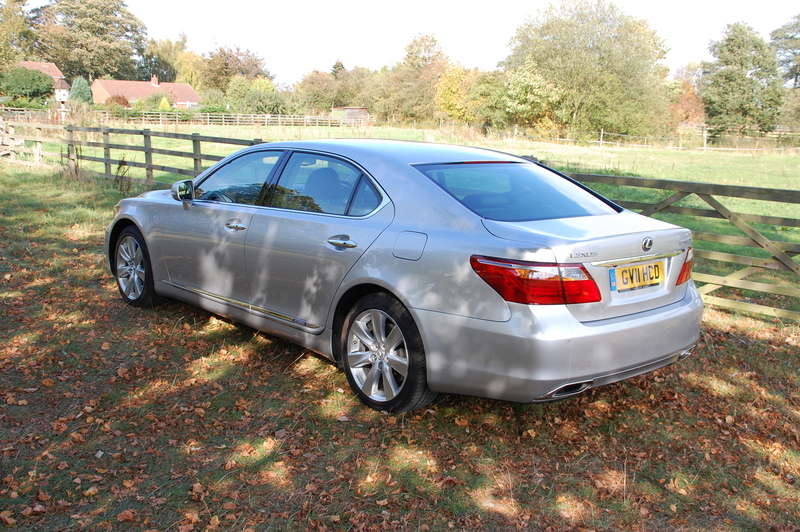 The more relevant discussion here is whether the Lexus LS 600h L is worthy of exchanging a rather healthy bank balance for the pleasure of ownership. 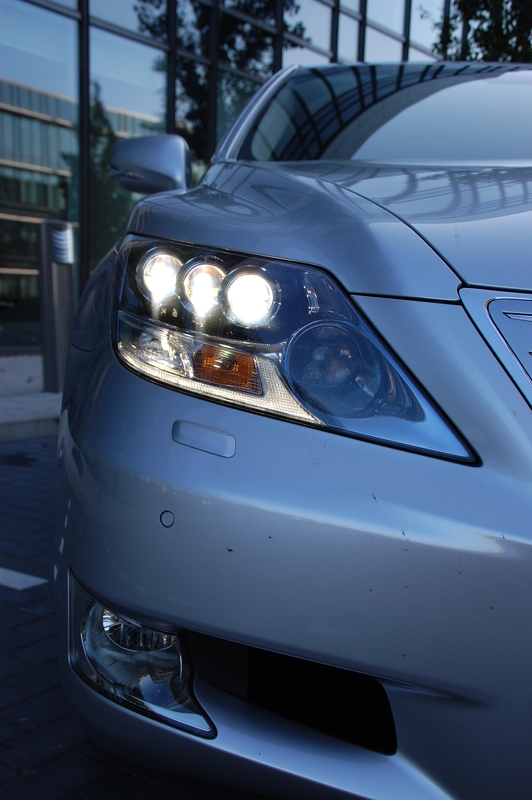 The fourth generation of Lexus’ flagship LS range of saloons was launched in the UK back in 2007 representing a further shift upmarket for both the brand and model-line. 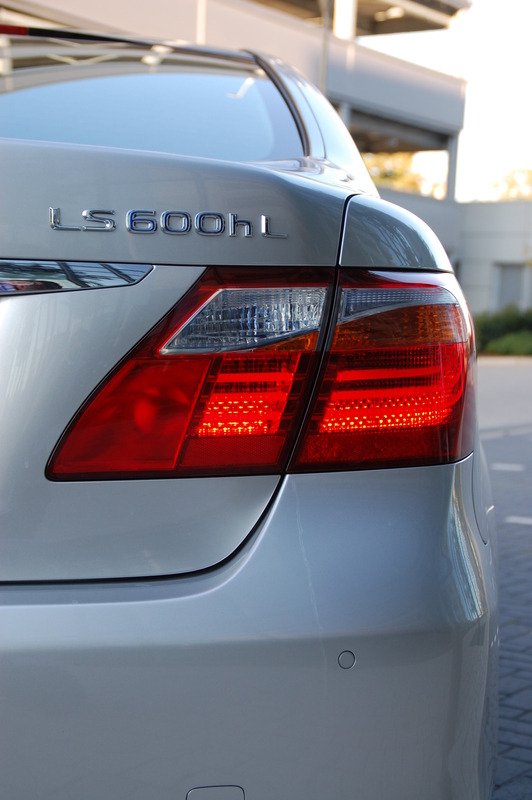 Initially available in petrol-only format as the LS 460, the petrol-electric hybrid LS 600h variant joined the range a few months later. Following the Japanese marque’s drive to pursue a cleaner, more niche-based image, the hybrid eventually became the sole offering in Britain, focusing on rivalling the V12-engined models from the highest echelons of its competitors’ ranges. Lexus can afford to take this strategy in the UK because the LS has long been an outsider in this segment – a respected one, definitely, but European buyers are rather traditional in this class. It’s a niche player within a small market. Brand loyalty (or inertia to change) ensures that Audi, BMW, Jaguar and Mercedes-Benz especially, still dominate in this field. It’d be churlish to even hint that the A8, 7 Series, XJ or S-Class were anything less than very fine cars, ones of which their owners could and should be proud. But to overlook the LS, or see it as someway marginally inferior, is a mistake. What the Lexus doesn’t do is shout about its presence. It’s conservatively elegant, rather than being brazen or bold – for those who don’t want to advertise their wealth too overtly, it’s a fine choice. In fact, the more your eyes explore the LS, you realise how well proportioned it is. At 5.15m long and 1.87m wide, it’s a very large car, yet in isolation it doesn’t look it. The long bonnet with a tall leading edge and high roof line leading to a raised boot lid, disguise its metallic bulk. The enormity of it only becomes apparent in car parks and traffic queues when the physical presence of urban runabouts give the game away. There’s some beautiful detailing across the body surfacing – a strong full-length shoulder line, shallow convex shape of the bonnet and deep, sheer body sides suggest strength in its physique. The prow is flanked by two technotractive headlamp units, showcasing a trio of insect eye-like adaptive LEDs on each side. The grille they enclose is the least successful element of the LS 600h’s styling – its chunky brashness is at odds with the effortless elegance elsewhere. The pre-facelift version, with thinner chrome edged vanes was a superior solution. The growing tradition of colleagues poring over test cars in the work car park saw the Lexus greatly admired for its visual restraint, the utter quality of its fit and finish and masses of equipment. Grille aside, the only aspects which didn’t draw universal praise were the blue hues on the badging. Long gone are the days when being more environmentally minded meant going green – today, blue is the clean colour of choice and Lexus is merely following the current vogue. There are just two models in the line-up: the LS 600h and longer wheelbase LS 600h L, which bizarrely is the less expensive of the two at £90,580. The Rear Seat Relaxation package fitted to this test model pushes the list price north of that psychological £100,000 total by £30. As with other hybrids in the Lexus range, the ‘600’ part of the model name is to suggest equivalency to the German rivals’ 12-cylinder models, all of which have capacities around 6-litres. The LS actually has a 5-litre V8 engine but the additional power and performance from the electric motor makes the overall output comparable to the likes of the BMW 760Li and Mercedes S600L. The Lexus’ trump card is that its fuel consumption is far superior, with an official combined test figure of 30.4mpg being entirely believable – a long 80+mph cruise showed a steady 29mpg according to the dash display. Both versions are mated to an incredibly smooth continuously variable automatic transmission, with eight electronic ratios should you wish to change gear sequentially via the centrally-mounted gear-lever. 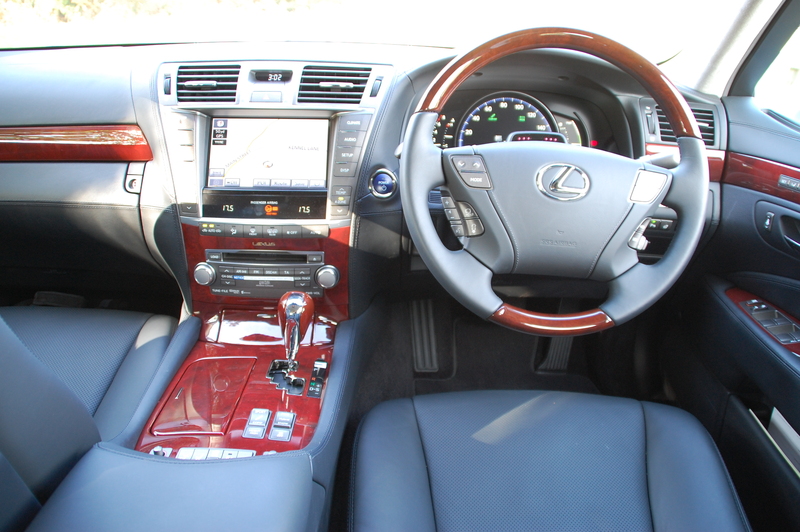 The Lexus’ imposing exterior shrouds a capacious cabin with colossal rear legroom in long wheelbase guise. The Japanese brand’s reputation for imperious levels of quality is wholly evident from the moment you ensconce yourself in the sumptuous leather interior. Like the exterior, the interior is attractive in style, if penned in the school of conservatism. Clearly, both are aimed to satisfy the demands of a very particular type of loyal customer, with tastes arguably more North American than European. Leather is swathed over almost every surface your fingertips may grace, enveloping the dashboard and door cards, with impeccable fit and finish. Those plastic surfaces which dare to bare, housing the switchgear and simple to operate colour touch screen, feel precise and well damped, offering button fetishists a thoroughly satisfying experience. Luckily, there is a plethora of them to prod and press. The instrument binnacle looks conventional at first glance but in reality is a TFT screen split into three segments. 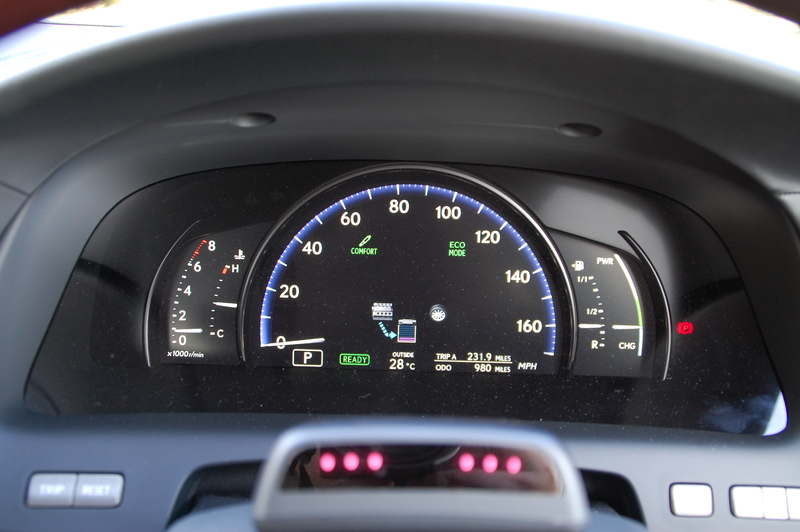 The graphics are impeccably clear with the space in the centre of the large speedometer showing a series of displays, which move around the screen as more driver aid options are selected. The whole inside of the car has that hewn from granite solidity that many marques claim to possess but few actually do. The only interior let down of note is the wood, which is glossy to such an extreme that it looks plasticky – simple fillets of piano black or cool aluminium would have worked more effectively with the darker grey tones of the interior. Achieving a driving position of optimum comfort is a painless affair, with full electric adjustment of all aspects of the driver’s armchair, including control of the head restraint, lumbar adjustment and seat cushion length. Naturally, the wood and leather steering wheel is also controlled electrically for its reach and rake adjustment. The seats themselves offer tremendous comfort and support with the additional benefit of not only being heated but air-conditioned, emitting a soft, chilled breeze through tiny perforations in the soft leather. All the controls fall easily to hand and become intuitive in operation very quickly, which is a boon considering how much can be controlled by the driver. Longer wheelbase cars like this tend to be piloted by chauffeurs whilst their owners enjoy being wafted serenely along from the rear seats. 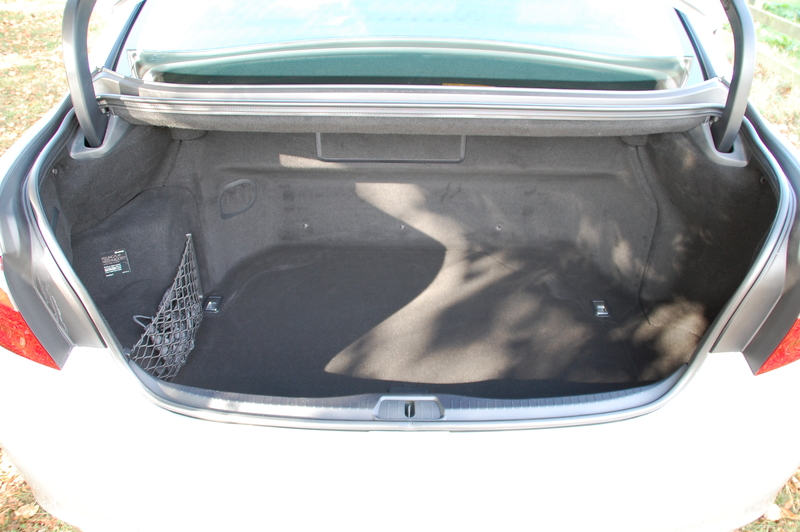 And what a rear seat it is equipped with the much-vaunted optional Rear Seat Relaxation package. With this fitment, the outer rear seats both recline, electrically and, like the front chairs, are also both heated and air-conditioned. But that’s not where it ends. 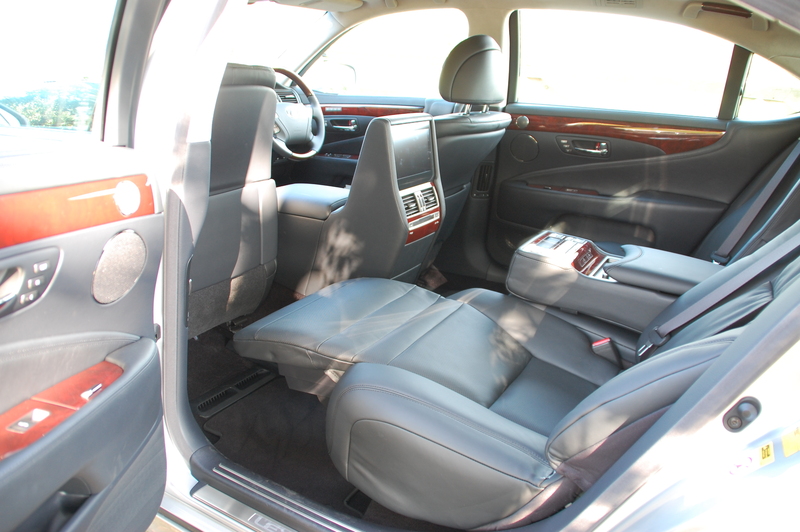 The rear of the Lexus LS 600h L is better equipped than my living room. And more comfortable. The nearside rear seat also features an Ottoman control. With the double depressing of a button within the rear centre armrest (itself with more buttons than the Starship Enterprise), the front passenger seat eases forwards out of the way, its headrest flips to ensure an uninterrupted view ahead and finally the padded leather panel behind the calves raises upwards as the rest of the rear seat slides into a slumbering position. Concerned the proles outside might see you enjoying such opulence? Then why not press further buttons to raise the blinds that fully cover the side doors and rear screen. As if this astonishing piece of automotive street theatre wasn’t enough, those rear seat inhabitants can watch a DVD on the flat screen that sits neatly between the front seats, enjoying surround sound accompaniment to their viewing pleasure via the 19 (yes, nineteen) speaker Mark Levinson entertainment system. Naturally, you wouldn’t want to be leaning forwards to adjust the volume or switch to the other sources of audio entertainment, so a remote control is thoughtfully provided within the hinged portion of the rear armrest. And nestled next to it, a second remote for the massage function of the rear seat. 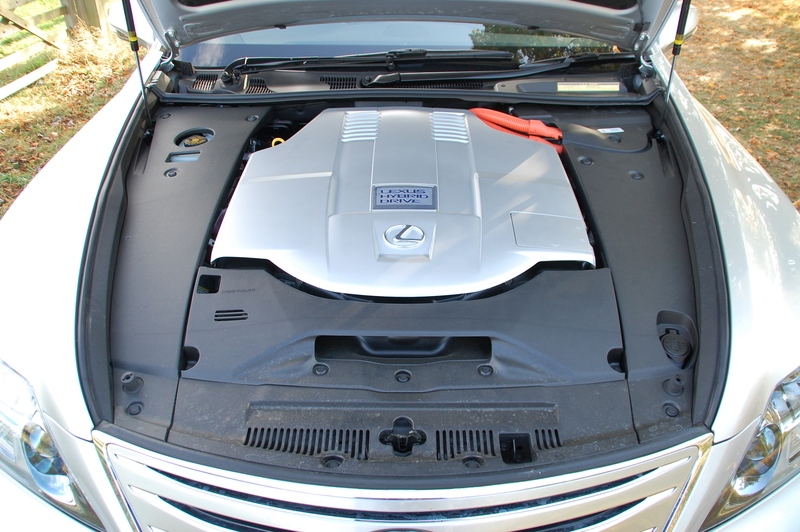 All who experienced the LS 600h L’s rear seat gasped and/or giggled with delight and disbelief. It’s immediately apparent, it’s no longer just a car, it’s an experience. For a car that can cross counties as easily as others will cope with a pop to the shops, there will be times when it’s used as luxurious family transport. Here, the technology within the LS, finally impinges upon its versatility. In a vault behind the rear seats the batteries for storing the electrical energy for hybrid propulsion are housed, reducing what could be an enormous cargo-hold to a mid-sized family hatch like 330l. It’s not small, certainly, but it’s not vast. For the majority, I suspect the benefits of improved fuel consumption due to the electrical assistance will be a price customers are willing to pay. Inevitably for a flagship model the equipment list is immense. The owner’s manual with over 800 pages of descriptions outlining how to control the range of functions is testament to this. Particular highlights? Four-zone climate control, adaptive headlamps, self-parking function, adaptive cruise control, DVD-based satnav, air suspension, four wheel drive and a heated steering wheel (and why not?). Despite its barge-like proportions, the Lexus eschews any hints of being a listing land yacht as soon as you engage ‘Drive’ via the stubby gear lever. Its controls are delicate in operation allowing the driver to drive in the most unruffled of manners. It would feel more appropriate that rather than the silence upon start-up, Vide Cor Meum billowed sonorously from the stylised tailpipes. All occupants are soothed and relaxed with an advanced all-independent air-sprung suspension system, maintaining a poised level within the car and soaking up all manner of ruts and bumps, transmitting few of them to the seats of its passengers. If you’ve been fortunate enough to experience a journey in a big Citroën, then you’ll find the Lexus very similar – although with even greater refinement mais sans les clics et les sifflements. 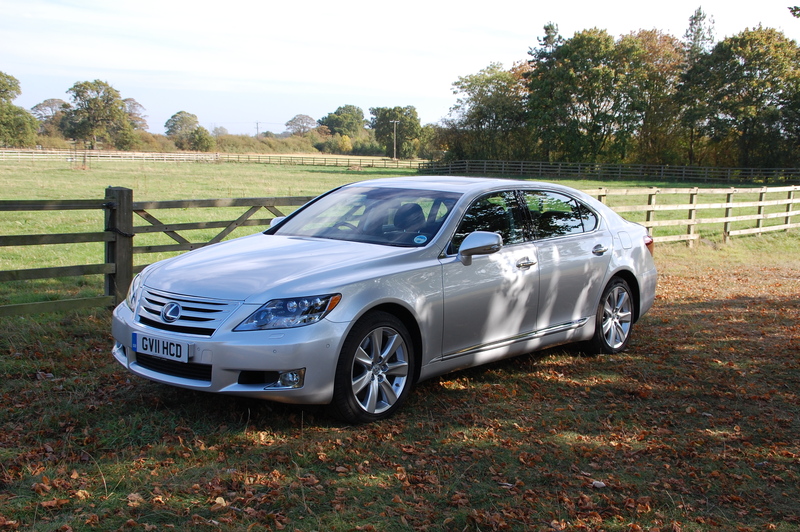 Lexus has resisted what must have been a strong temptation to over-assist the power steering, leaving the driver in no doubt that the LS is a heavy car that tips the scales at 2.32tonnes. It’s light enough to be turned with relative ease, so no danger of Popeye-esque forearms developing after a few weeks behind the wheel due to its variable assistance, but this additional weight at the tiller doesn’t translate into a significant amount of feel, meaning in terms of a fun driving experience it feels somewhat anaesthetised. What it will do is traverse motorways and B-roads easily, covering great distances quickly and quietly. A sharp stamp on the throttle induces a growling V8 bellow hinting at a Mr Hyde character lying beneath the understated and classy exterior, while the sequential shift gate on the right hand side of the automatic selector hints at a more sporting, aggressive nature. Pertinently though, the LS 600h L isn’t a car one buys to hustle around bends for a thrill-a-corner driving experience, but for making rapid, tranquil progress that leaves its passengers fatigue-free. How stress free exactly? Well, on a 200 mile journey from Farnborough to Lincoln, it was literally a case of engaging cruise control, setting the speed and steering the car. Oh, with the occasional flick of the indicator stalk to accompany overtaking manoeuvres. The radar-controlled cruise control was thoroughly effective and failsafe, maintaining a safe distance between itself and the car in front all the way from 80mph down to an abrupt stop on the M1. It’s uncannily eerie to begin with but once you feel confident the Lexus’ advanced safety package will function as expected, then it’s gloriously special in a technology-packed way. Fellow detail geeks will appreciate how on the dash display for the cruise control, the rear lights of the car on the graphics glowed red when the Lexus self-braked. Okay, it might not be everyone’s idea of a special driving experience but as a way of eroding the chore-like pounding of miles of motorway, it takes some beating. The refinement of the petrol-electric hybrid drivetrain is almost beyond superlatives, such is the silken delivery of its power and torque. It never feels wanting in terms of urge, whether running at low speed in EV mode nor when its smooth V8 cuts in imperceptibly, save for the display on the instrument cluster giving the game away. Flooring the throttle rouses those eight cylinders into thunderous action, thrusting you deeper into those comfortable seats, yet almost immediately the fun ends because a three figure speed is approaching, and I rather like my licence thank you very much. Back off, near-silence returns and isolation from the under bonnet machinations is restored. A limited top speed of 155mph and a hurried 0-60 sprint of 6.3 seconds compare strongly with rivals. You’ve got to be pretty hard-nosed, or in denial, not to be impressed by the LS 600h L. It commands respect through the depth of quality of its build, the superiority of the materials from which is it’s constructed, the wealth of technology that would embarrass a branch of Currys and its sheer ease of use. That impressiveness will be tempered for some because of the lack of boldness in the styling of the Lexus both inside and out, whilst that shiny wood may induce a wince, but for others the LS will represent the epitome of restrained beauty, taste and class. Choosing a car will always be a complex amalgam of heart and mind – desire vying for attention against logic. The higher the purchase price, the arguably the greater these two forces could work against one another. 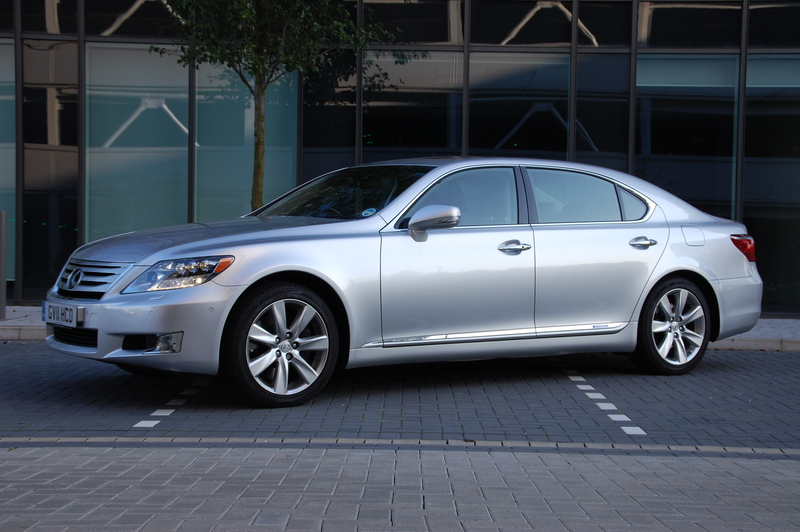 The LS 600h L is a car that the brain will dominate the selection of, but rest assured, you will quickly learn to love. It’s an awful lot of car for the money. This care came out of the left field for me (I was looking for a CL 500). 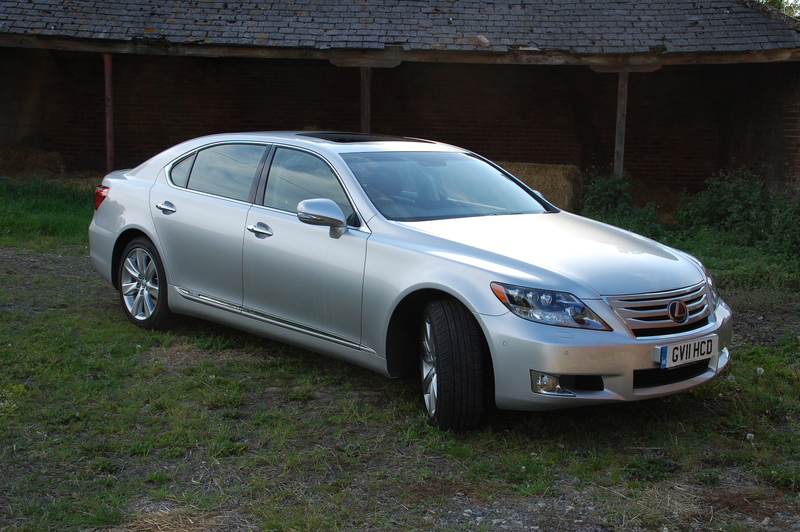 I have just driven (and seen) my first Lexus LS600. I suspect prospective customers will need a few drives. The comfort is other worldly – all you can hear is rubber on road surface and not much of that. I told the salesman I thought it a little underpowered. He said the comment might be academic before long as I was doing a little short of 90 in a 60 limit. On the way back he pushed the button for speed. That was impressive. The feel of quality is omnipresent. I never thought it would be on the list; it is now.